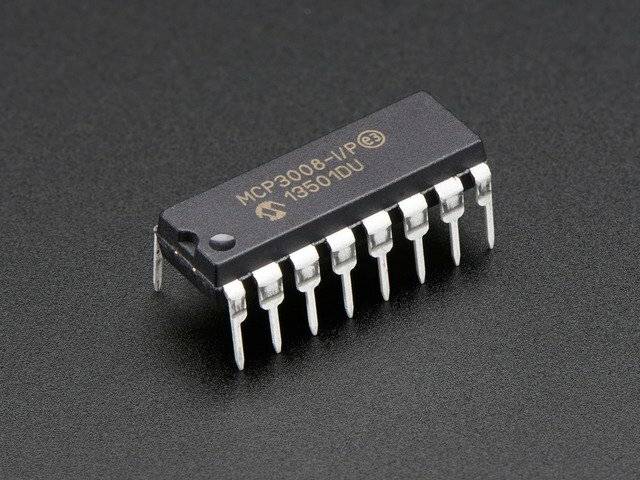 The ADS1015 and ADS1115 are great analog to digital converters that are easy to use with the Raspberry Pi using its I2C communication bus. The ADS1015 is a 12-bit ADC with 4 channels, and the ADS1115 is a higher precision 16-bit ADC with 4 channels. Both have a programmable gain from 2/3x to 16x so you can amplify small signals and read them with higher precision. If you're looking for a nice step up from the MCP3008 or other simple ADCs, the ADS1x15 series is a great option! Before you get started be sure to follow the ADS1x15 guide to assemble your ADC board by soldering on headers. Both the ADS1015 and ADS1115 use the same I2C communication protocol to read analog values. You can wire each chip to the Pi in exactly the same way as described below. 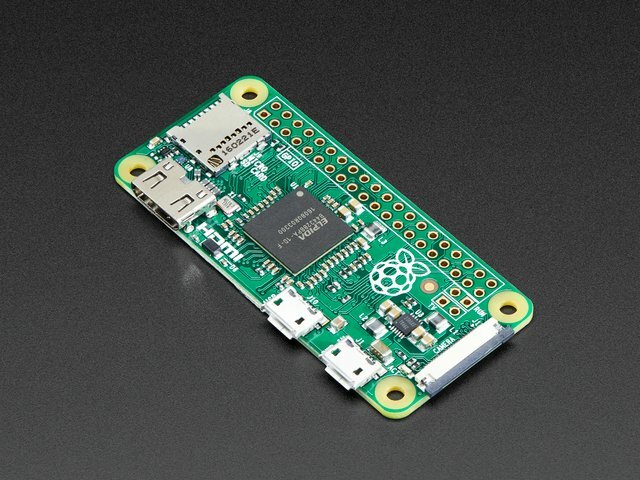 Before you wire the ADC to the Pi make sure to enable I2C on the Raspberry Pi using raspi-config. Don't move forward until I2C is enabled and you've checked the ADC is visible with the i2cdetect command. 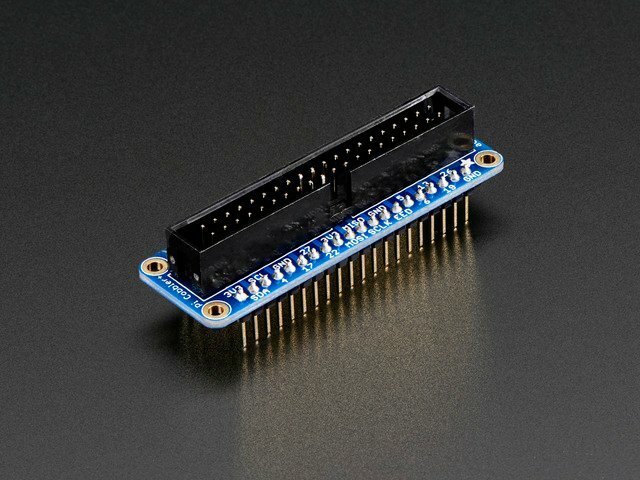 After you've wired the ADS1x15 to the Raspberry Pi you're ready to install the Adafruit ADS1x15 Python library. Note that if you install from the Python package index you won't have the example code for the library. You'll need to download these ADS1x15 examples to the Pi manually and run them in the next section. # Or create an ADS1015 ADC (12-bit) instance. This code configures the example to use either an ADS1115 chip, or the ADS1015 chip. The top uncommented line is choosing to use the ADS1115 chip by creating an ADS1115 object. Below it is a commented line that instead creates an ADS1015 object to use the ADS1015 chip. Uncomment the right line depending on the chip you're using. The last commented line shows more advanced usage like choosing a custom I2C address or bus number. You don't normally need to change these values. Each column represents a different channel and the header on the first row shows the channel number (from 0 to 3, 4 channels total). The value for each channel is the ADC value for that channel. This is a number that ranges from -32768 to 32767 on the 16-bit ADS1115 or -2048 to 2047 on the 12-bit ADS1015. A value of 0 means the signal is at a ground (reference) level, 32767 (or 2047 on the ADS105) means it's at or higher than the maximum voltage value for the current gain (4.096V by default), and -32768 (or -2048 on the ADS1015) means it's a negative voltage below the reference voltage (e.g. if you are in differential mode). In between values are proportional to each other, so a value of 16384 is about 4.096 / 2 or 2.048 volts. The code configures the gain that the ADC will use when reading signals. Gain will amplify signals so it's easier to read small weak signals. The gain also controls the range of voltages that can be read by the chip. With a gain value of 1 notice the range of voltage is 4.096 volts. This means the chip can read values from -4.096 volts to +4.096 volts. You can choose higher gains to read weaker signals with higher precision (since more bits will be used to represent a smaller range of values). Choosing the right gain for your signal is very important and worth thinking about the possible range of voltages you might see. Too high a gain will push your signal beyond the ADC's max voltage and produce inaccurate results, and too low a gain will bury your signal in noise making it difficult to read. Choose carefully! This line is calling the read_adc() function from the ADS1x15 Python library. The function takes one parameter, the channel number to read (a value of 0 to 3), and optionally a gain value (the default is 1). As a result the function will return the current ADC value of that channel. Reading an ADC channel in your own code is as easy as calling the read_adc() function! Pass in the channel to read and it will return the value. That's all there really is to using the ADS1x15 library to read an analog value! If you're curious you can examine and run the differential.py example just like you ran simpletest.py. Modify the configuration to choose your chip. Then when you run the example it will call the read_adc_difference() function and use it to read the voltage difference between channel 0 and 1 of the chip. Sometimes it's useful to read the difference of two signals to help reduce noise and other artifacts from analog signals. In addition the continuous.py example demonstrates how to turn on continuous read mode and read a stream of ADC values. This is useful if you're just reading values from the chip and don't want to worry about calling the read_adc() function all the time. See the comments in the example for an explanation of how it works. Finally the comparator.py example shows a more advanced mode of the chips where they can enable an ALERT output pin when the ADC value falls within a specific range. Again the comments and datasheet should help you use this functionality. That's all there is to the ADS1x15 Python library! This guide was first published on Feb 09, 2016. It was last updated on Feb 09, 2016.